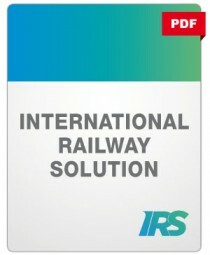 The present document specifies a common content and format for "diagnostic data transmission" from railway vehicles. It has been developed by RSF - Rolling Stock Sector - Sector Expert Team 8 "Data Communication". Due to a wide range of different ideas and experiences among the railway operators involved, a common denominator was sought which would provide a basis for joint specifications. Therefore neighbouring areas essentially depending on the operators' individual diagnostic aims, ground IT infrastructures and existing radio infrastructure have intentionally been disregarded, as have areas experiencing rapid technological development, in which standardisation would be unfeasible and of little use. The acceptance, applicability and maintenance of the specifications are to be ensured by focusing on the essentials. Universal and functional contents which can be used by most operators are described in detail from the users' point of view in the present document. The strong data structure chosen enables coverage of a huge number of user requirements. This has been achieved through high variability in data amount and content, as well as by using an open and standardised data format that is very common for the transmission of information within IT systems. Software developers and users' understanding and use of XML Schema and example files have also been provided with support in the form of additional documents, some already existing, others developed by the working group.